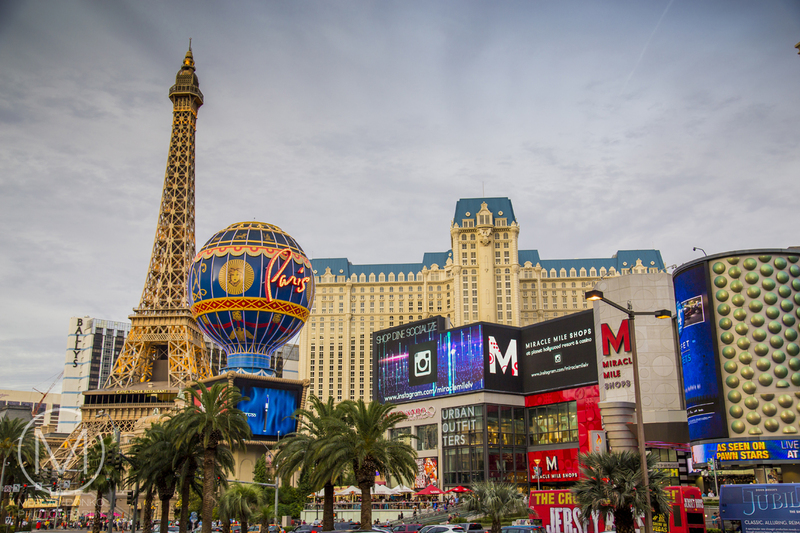 Las Vegas is unlike any other city in the world. It's a mixture of elegance and grandness as well es weirdness and addiction. It won't leave you indifferent. In this post I want to talk about our days spent within the city. 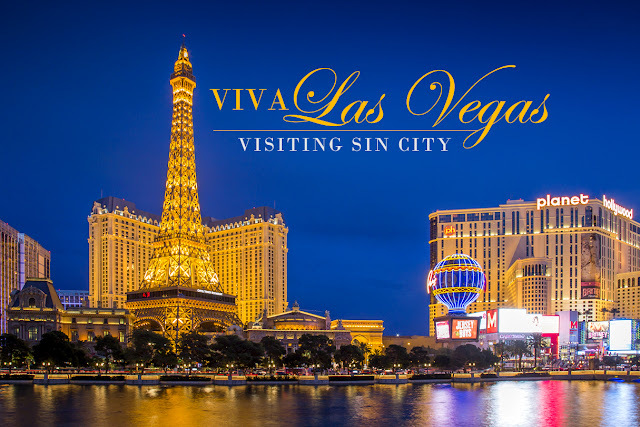 Actually, the part of the city where the strip is located is called Paradise and not Las Vegas, as many people wrongly think. Anyway, it pulled us in and chewed us up and we loved every second of it. You could spend so much time here and discover something new each day. The city at night is a special sight and if the exteriors are too shiny and bright, then you can escape into the glitzy and stylish interiors of the hotels and casinos. I hope you will enjoy our time spent there, as much as we did. 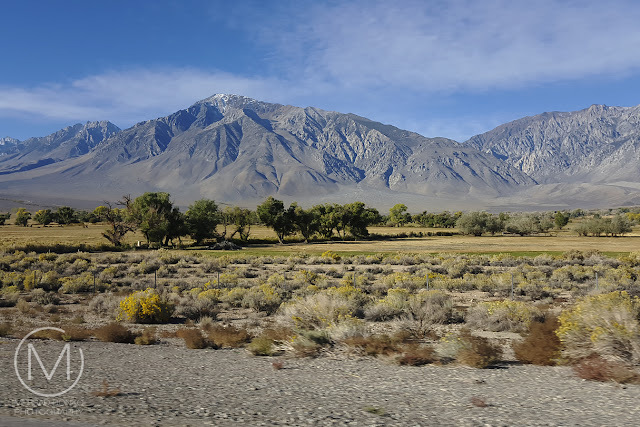 We had an early wake up call in Mammoth Lakes, grabbed some breakfast at our motel and moved on down Route 395, which is very isolated and lonely. You won't pass through many inhabited places and once you make the turn towards Highway I-95, it gets even lonelier. Expect mountain roads and long, straight, seemingly never-ending routes that cross the valleys. Deffinitly make sure to stock up with food and water before your road trip. 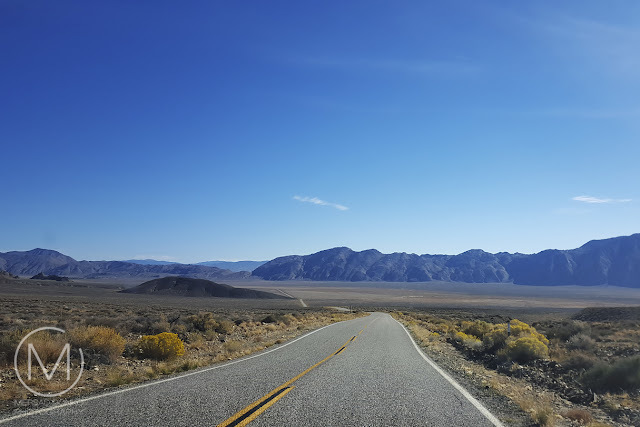 It took us approximately 5 hours from Mammoth Lakes to Las Vegas. The city materializes out of the desert when you approach it. It's all very fascinating. 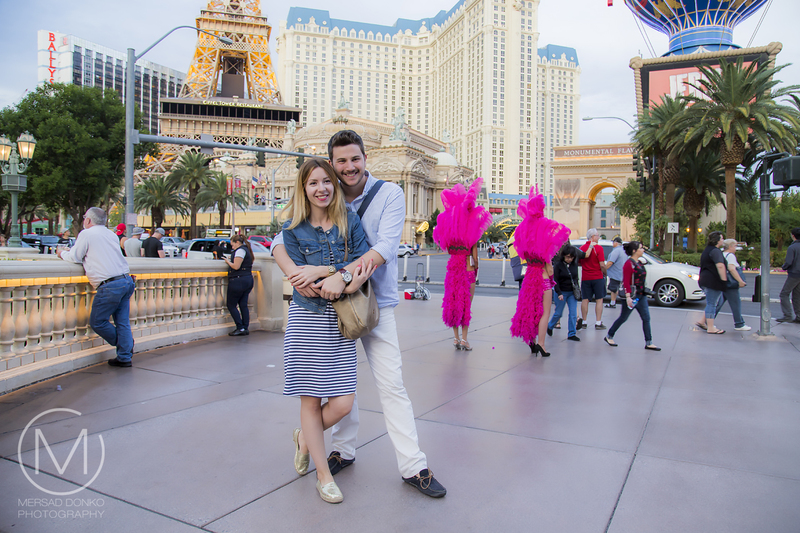 The first night in Las Vegas was spent with our family. We have cousins in Phoenix and Salt Lake City that came into town to see us. I can't describe how great it was to see them again and they showed us around the city at night, explained the casinos and treated us to a great dinner at Gordon Ramsey's Burger Restaurant. If you guys are reading this: thank you again so every much! There is much to see in the city, obviously. While my cousins departed the next day, we stayed and kept exploring. 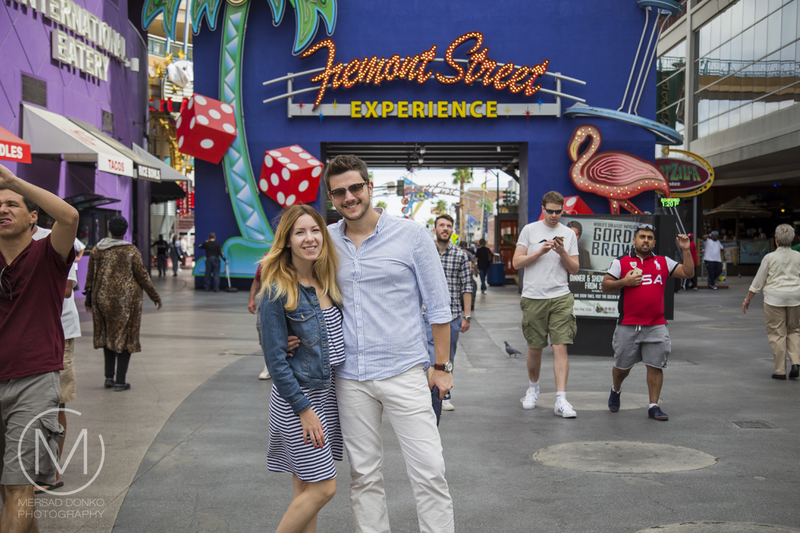 Our day started with Downtown Las Vegas. 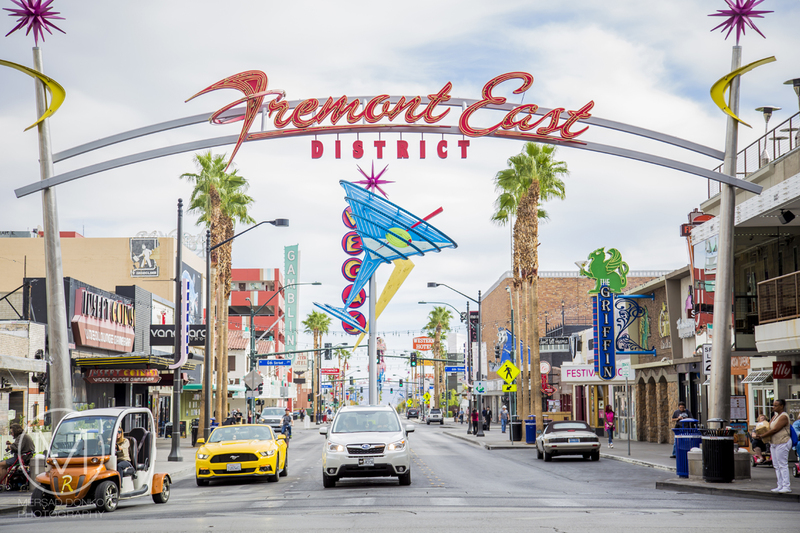 It's a nice start for the exploration, but one visited best if you have a car, since it's a bit off the strip. 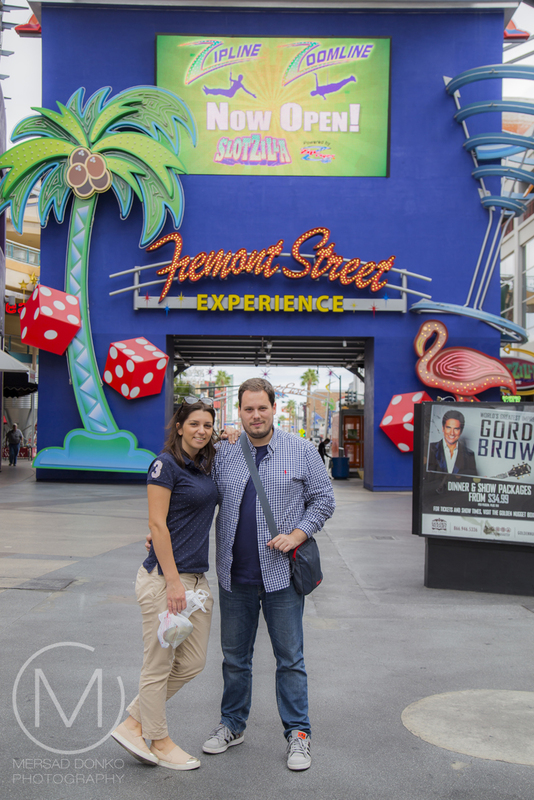 The most prominent sight here is the Freemont Street Experience, with a huge LCD screen that is covering up the street. It's activated at night though, so that will be the only time of day when you get to see its full effect. The city offers many places for both activities. 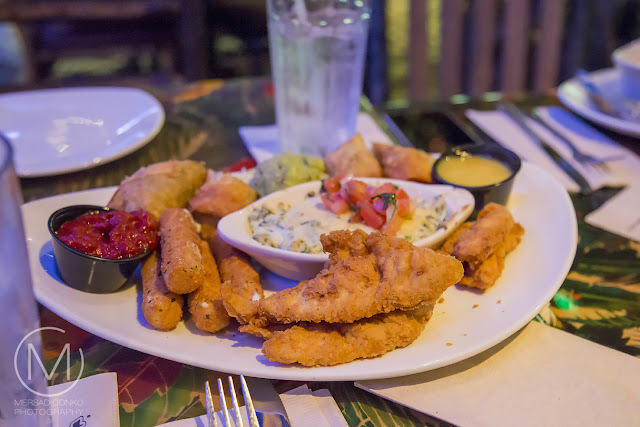 We had a great lunch at the "Rainforest restaurant" (two images above), where we had Clam Chowder and a appetizer plate with fried chicken, fired mozzarella sticks, cream cheese and spinach dip as well as chicken wraps, that came with guacamole and two dipping sauces. All very delicious. The interior of the restaurant is exciting as well. 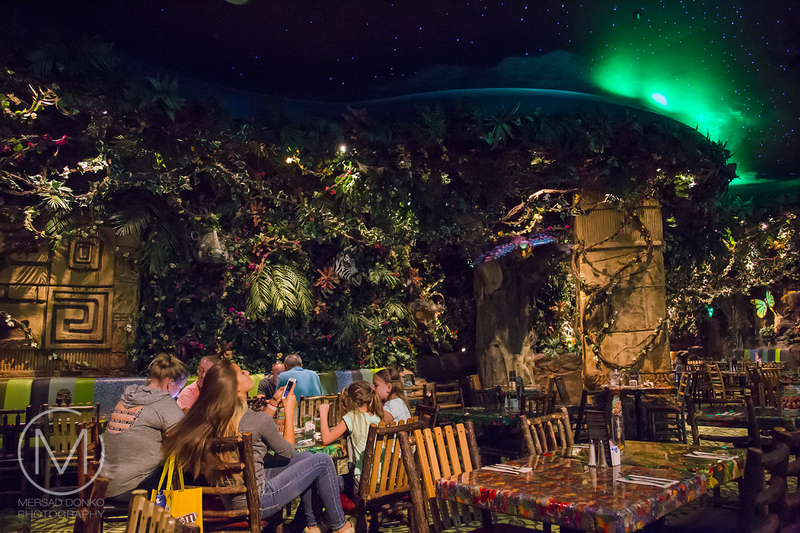 It's decorated to look like a rain forest, complete with sounds, live sky and animals that activate every 10 minutes. 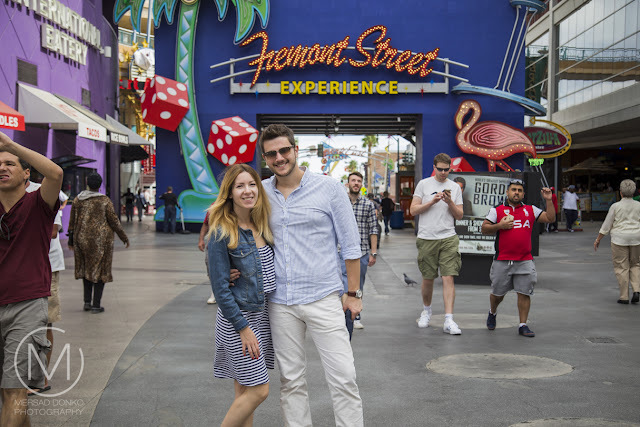 We went shopping in the Las Vegas Outlet Mall South where you will find a lot of stores and outlet shops. Definitely recommended if you want to buy yourself something. 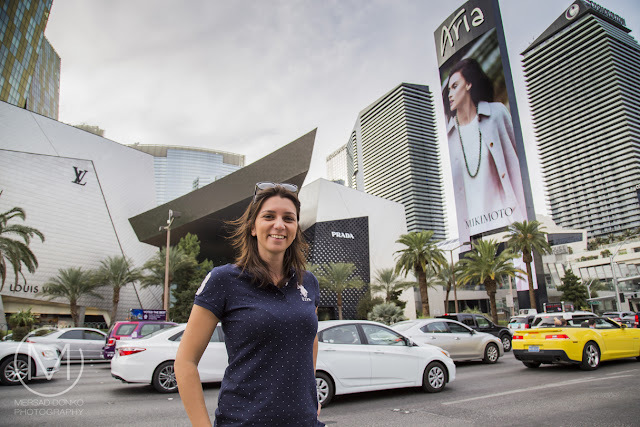 If it's high end stores you are looking for, then don't go further then the Las Vegas Strip itself. 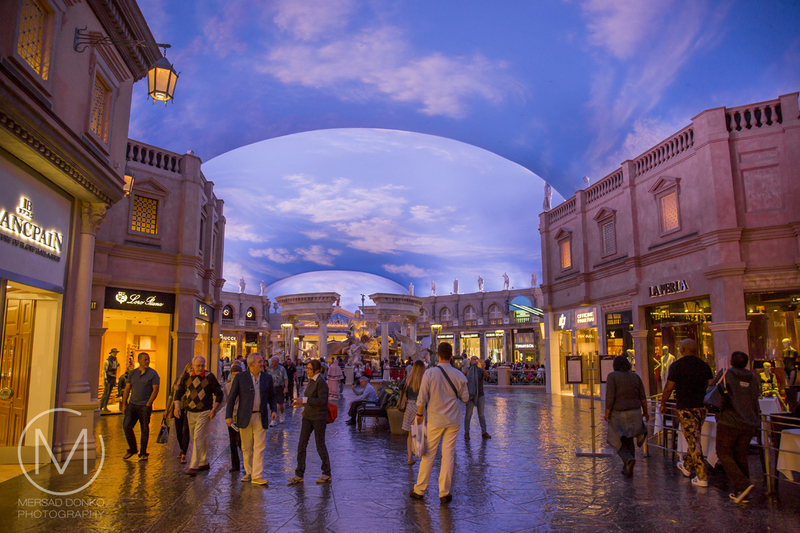 You will find great shops around the Aria hotel, as well as the interior malls in The Venetian and Ceaser's Palace. This is where it gets interesting. 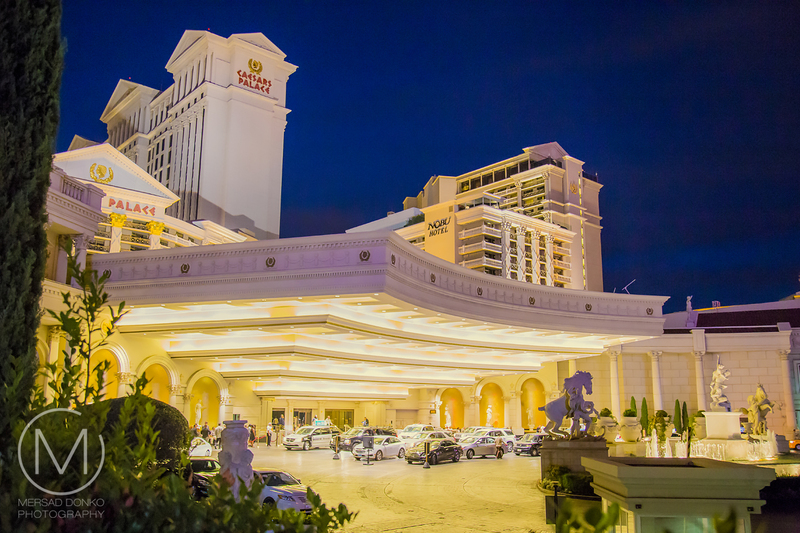 There is a lot to do at night in Las Vegas. 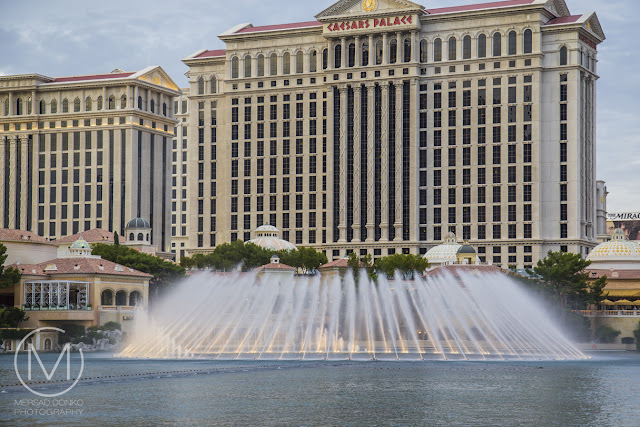 From getting drinks at stylish places like The Chandelier (but also very pricey), enjoying the fountains in front of the Bellagio (next image), or simply stepping inside any hotel and casino on the strip and get carried away. Some of the hotels on the strip are interconnected, so you don't even have to step outside (I'm sure that's their motto as well). Casinos are everywhere, and if you like gambling this will be your heaven. 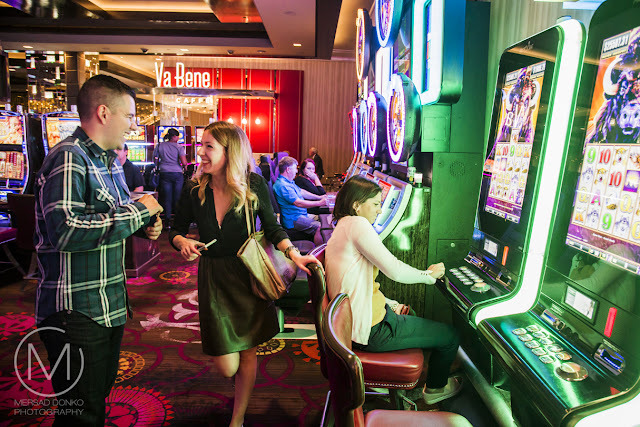 I'm not much of a gambler, but I did enter each and every casino and hotel, simply because it's an experience all in itself. These are the hotels we visited: Luxor, Excalibur (this is the hotel we stayed in), Bellagio, Mirrage, Ceaser's Palace, Venetian, Paris Paris, Cosmopolitan, MGM Grand (best casino, so my co-travelers tell me), New York - New York and Planet Hollywood. 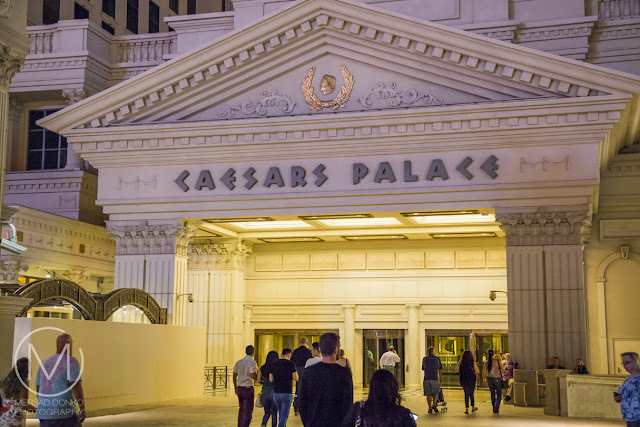 The strip is 3 km (1.8 miles) long so be prepared to walk a lot, or you can take the monorail that connects most of them. But we rather explored by foot, since we didn't want to miss out on anything. 1. Smoking is allowed in the casinos. Depending in which one you end up, you won't notice it that much. Some of the cheaper casinos will have your eyes water if you are a non-smoker like I am. 2. Solicitation is at every corner. You won't be able to walk anywhere without someone stopping you and trying to sell you something and/or get you someplace. A simple "No, thank you" will get the job done though. 3. The city never sleeps. It's a well known motto but it's very true. On our second night in the city we wanted to go to bed at midnight, came to our hotel but stopped so that the others could play just one round of roulette. I went to bed at two (and we had to go to the Grand Canyon the next morning). Time flies away here and also doesn't matter at all. Everything you need is always open and right there. 4. Beware of the food in hotels. 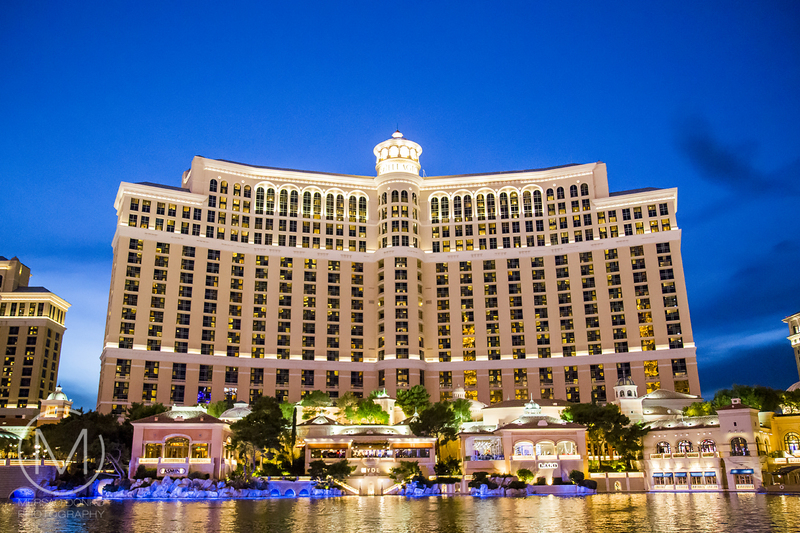 There are a lot of hotels in Las Vegas that offer great food. Beware of the steep prices. Food in general is a problem, since you're either spending a lot of money on it or end up eating in a fast food place (which we wanted to avoid at all cost). Vendors in hotels offer little snacks, but they are also overpriced (I had a small pretzel for 5.99$). Your best bet (pun intended) to still your hunger are drug stores like Wallgreens, that are right there on the strip. 5. Free drinks in the casinos. 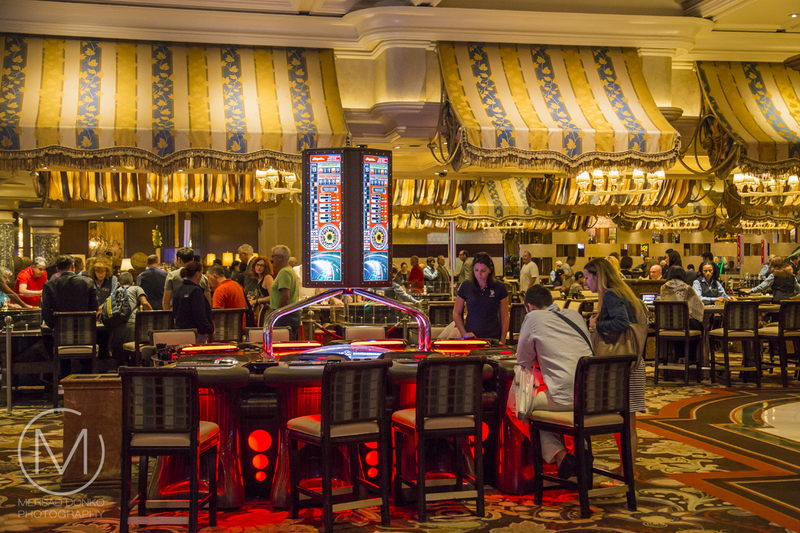 Now I don't drink (I know, I know, I don't gamble, smoke or drink, what am I doing here :), but here is what I saw and what seemed of interest: while you gamble, waitresses hop around and bring you free drinks (you have to tip them though). It's a nice way of prolonging the night. Beware, you can't take alcohol on the street and drink it, it's illegal. 6. Slots or tables. 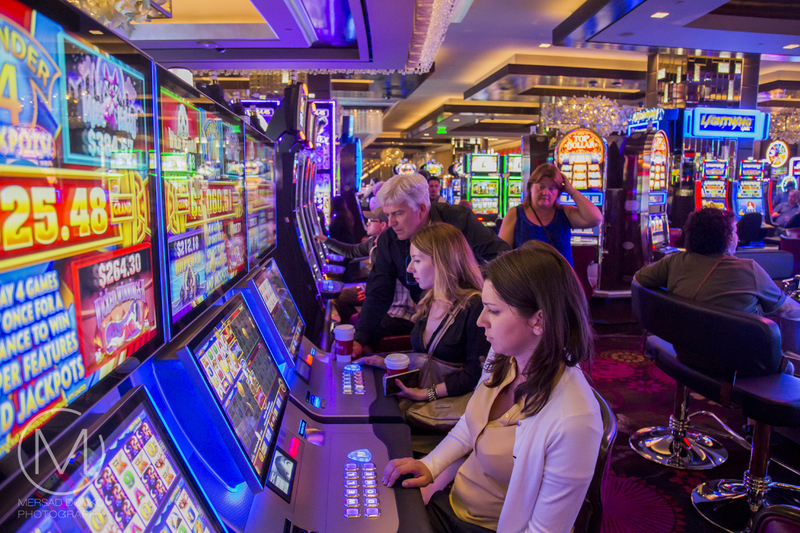 From our experience playing the tables (by that I mean the live roulette, black jack and poker in the casinos) will get you further then the slots. But hey, who am I to tell someone where they'll get lucky! 8. Inside malls are a lot of fun. 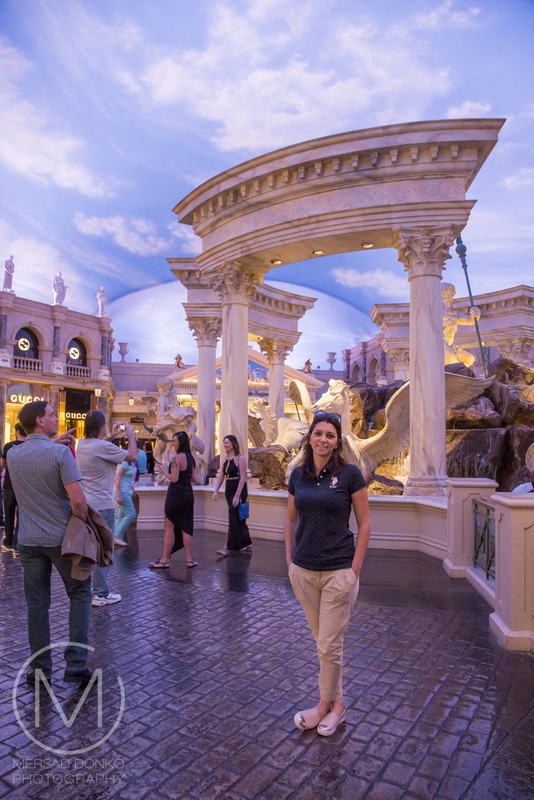 The Venetian and Ceaser's Palace inner malls are not to be missed. 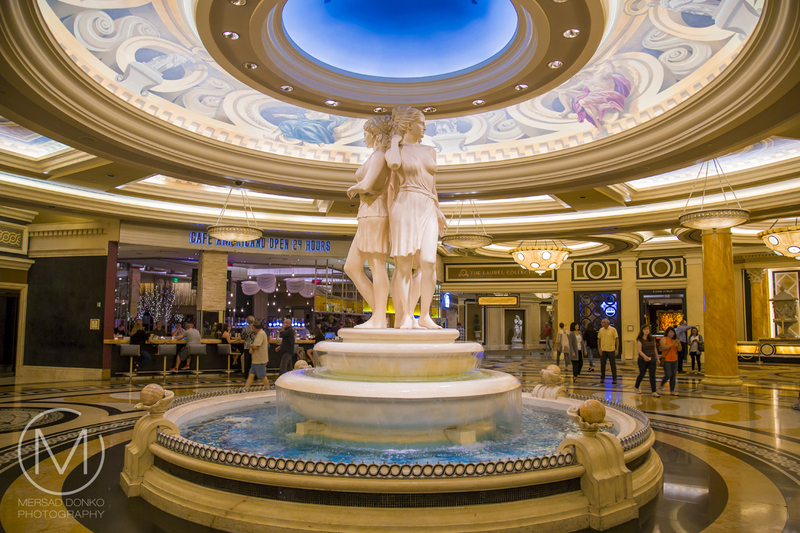 The one in Ceaser's Palace even has a affordable H&M (at least the girls told me so), and you won't belive your eyes when you see the ceiling in these places. They are made to look like a real sky (images above this text), and even though it doesn't show in the images, when you are there and look into the right corner you could be fooled into thinking you're outside. 9. 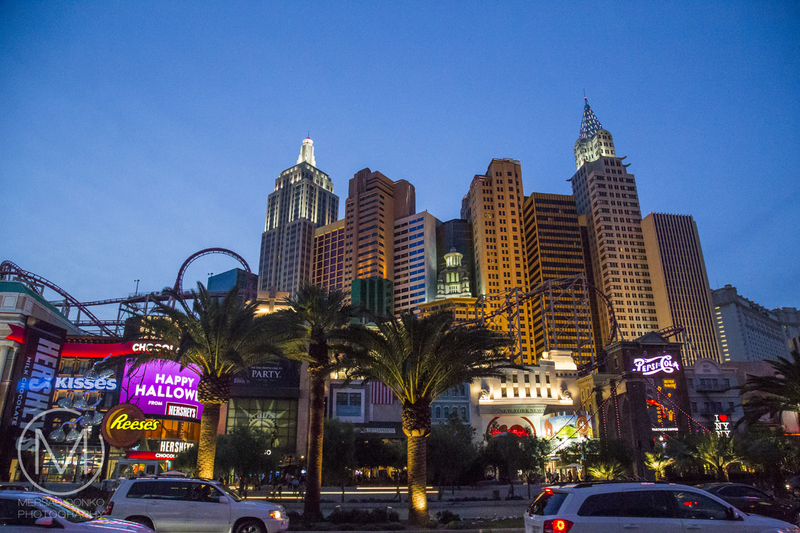 Stay within the strip. The main attractions are located on the strip, and you won't find any reason to steer of from it. Just in case you might want to, beware that the outer parts of the city (especially at night) are not the safest. This doesn't mean that the Strip is a completely safe place. Especially after midnight things tend to get freaky. 10. Some hotels offer special events. Ceaser's Palace has the Celine Dion concert, the Stratosphere a trill ride roller coaster (New York, New York has one too), MGM Grand has the David Copperfield magic show, Cirque du Soleil is in the Bellagio, Aria and New York, New York, and every day there are new shows added (there was a Britney Spears concert during the time we visited). Make sure to check up on these events and book your tickets in advance! In conclusion, Las Vegas won't leave you unfazed and it's an odd mix of many things you read up on in this post. But it's also an attraction all in itself. One thing we all agreed upon is that it is very overwhelming, no matter how much you plan your stay. If you can look past the superficial nature of the city, you will end up liking it a lot. If not, hey the Grand Canyon is not too far away, and that's where I will take you along in the next post. I have friends who live in Vegas - I don't think it would suit me. Maybe one time but not now. Your pictures told it all and I really liked studying them. 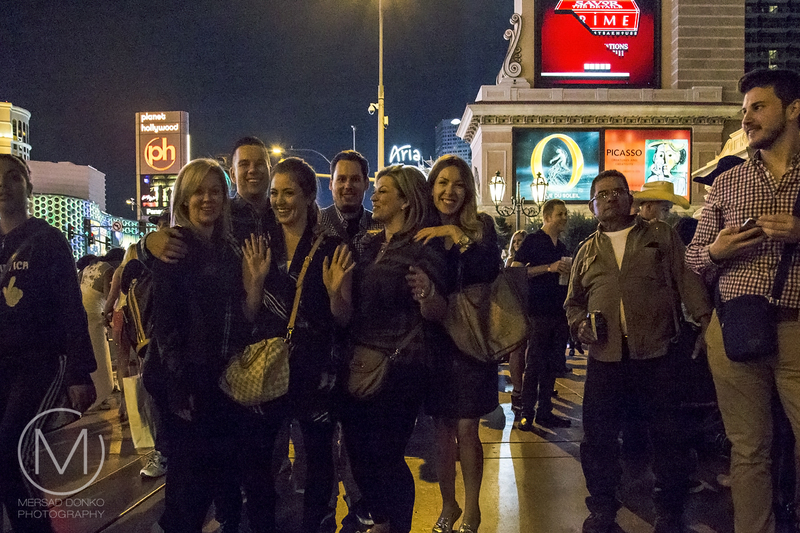 Crazy Vegas... Looks like you all had a great time. 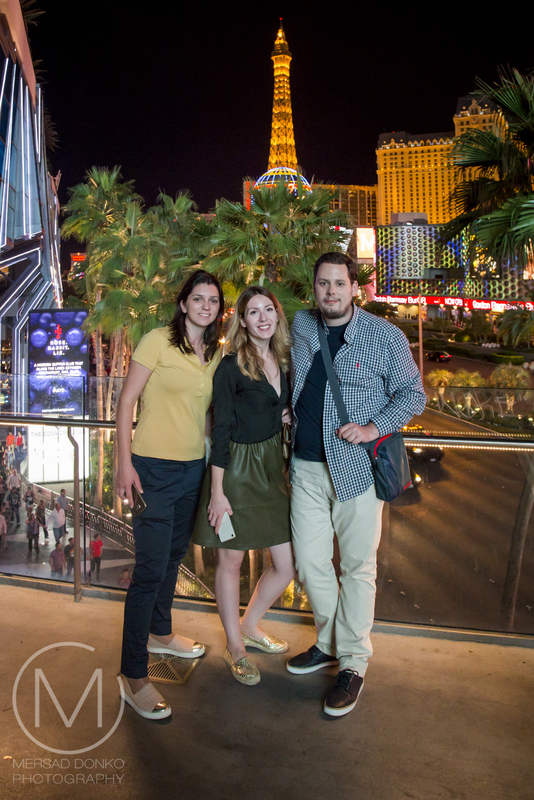 Vegas with friends is always fun, glad your cousins could meet you there. My husband and I went to Las Vegas once many years ago. I'm not much of a gambler, so after spending a couple of days seeing all the fancy casinos I was ready to go home. I've never had the desire to go back. But it is a place everyone should see at least once and I'm glad you got to visit. Fantastic photos, especially of the lighted buildings at night. 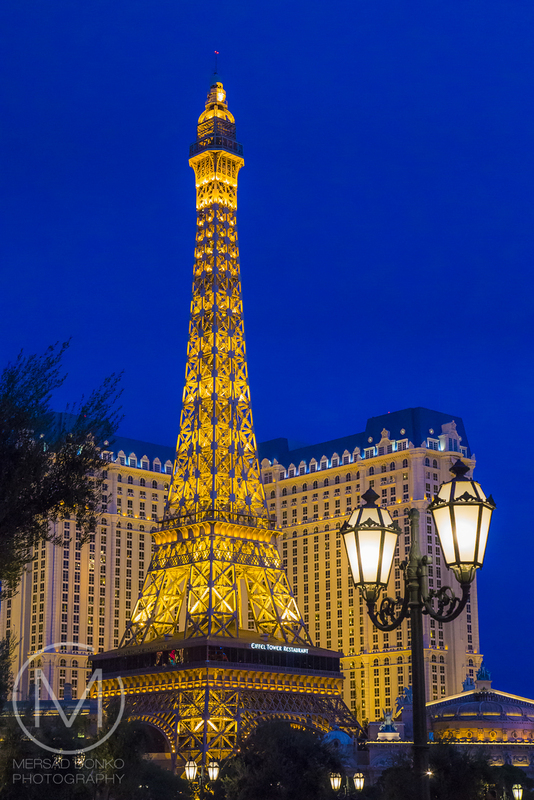 it could also be called the city of lights and your night photography skills came in handy.. I was most delighted with your first picture--- Mt. Whitney (the tallest in the Lower 48). The Lone Pine area is beautiful--- and hundreds of movies were filmed there. I could spend a week there just taking pictures. Vegas is lots of fun. It seems you all had a wonderful time. I loved this area as well. It had a desert feel to it, but the mountains in the background and autumn colored trees in front added something to the landscapes there. I didn't take too many shots, since we were driving, but I did film it. Very interesting,but Las Vegas doesn't sound like my kind of place or pace. You said it best with, "it's an odd mix of many things." Quite a city, but I am not a gambler either. One visit was enough for me! 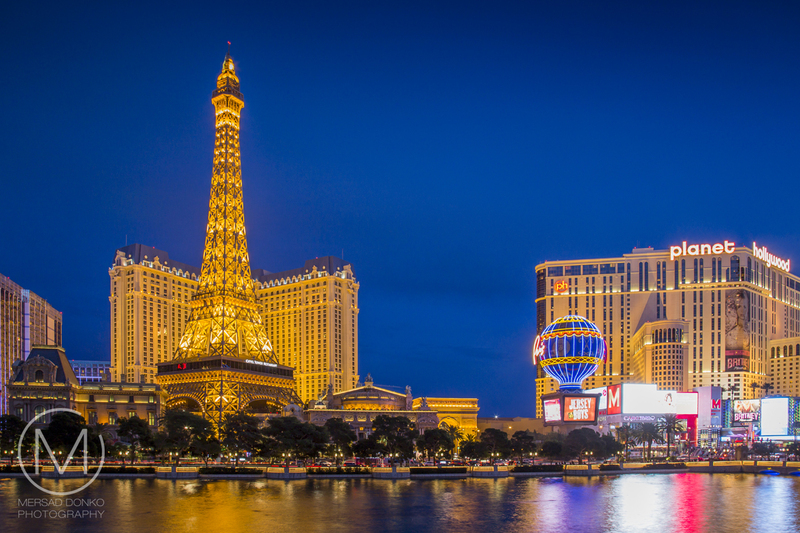 Las Vegas has certainly changed since the '80s but I've never had a desire to revisit it. Geht mir wie Liz...die Stadt die sich sehr verändert hat, zumindest gibt es viele neue Hotels/Casinos. Wobei Cesars Palace kenne ich auch noch und fand es in 87 schon superklasse. 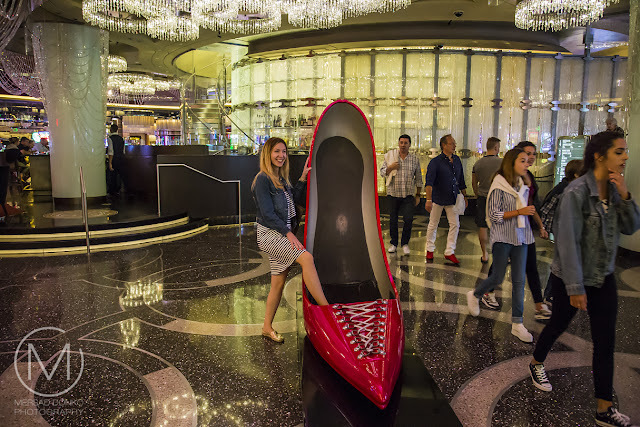 Have never been there but weirdness is, no doubt, one of the words that come to my mind when I think of Vegas. Fantastic photos! 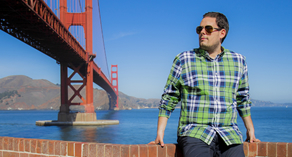 You got some great photos in this crazy city. I'm like you, I don't smoke or gamble and I limit my drinking to good wine so, I don't visit Las Vegas very often. But, I do enjoy all the lights and the shopping and the people watching. In the past few years, there have been some great restaurants open up too and being a foodie, that is usually my form of entertainment when I go there. So, I see you have relatives in Phoenix! I did not know that! I'm glad they were able to come up and see you. Great shots. I don't think I could live in a place as frenetic as Las Vegas, do you? Very nice. I was there this past week also. 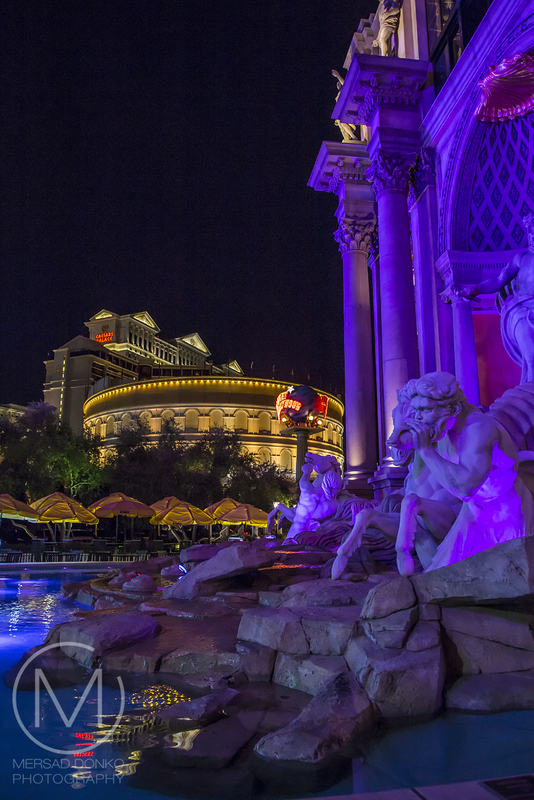 I've been to Vegas several times on business & pleasure, but you have captured some marvelous images. Well done. Wonderful shots of Las Vegas! 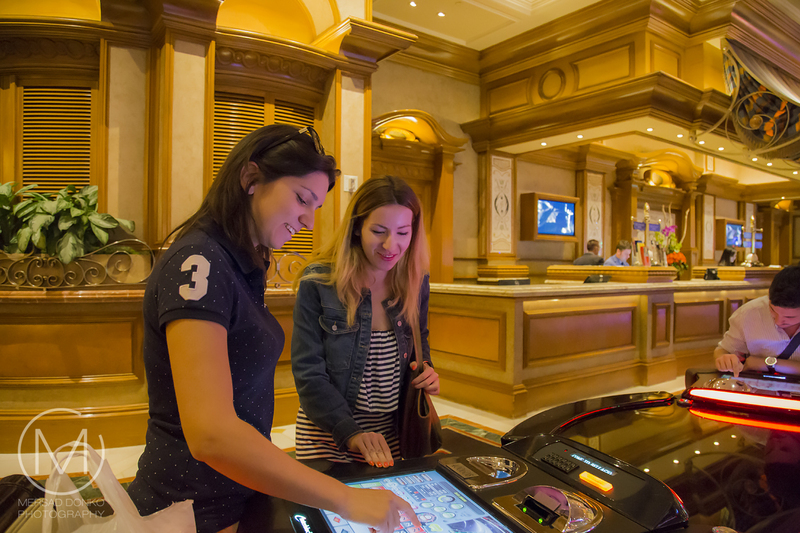 I love your casino shots! Everything looks so different and awesome through your lens. I've seen a lot of those photos in other sites, but the expressions describing the city are more complete when seen through yours. I am so envious! hmmmmm looks like it has changed alot since we were there. Your photos are amazing! It sounds like you had an AMAZING trip! It's funny about food in the hotels being so expensive....MANY years ago you could get a great buffet meal for $5. or $6. because they got your money when you gambled, so the food was super reasonable. When we were there couple of weeks ago to visit our dying friend, we didn't go to the strip, or anything, but stayed in a hotel close to their house. We were AMAZED at the buffet prices, and the food wasn't good! Yeah, the off strip motels and hotels are to be avoided really. Inside the strip the food is great but very pricey. Sorry to hear about your friend! The food at this venue was excellent, as was the service, many of our friends and family still rave about it. My wife and I highly recommend this venue. We came to venue NYC again for dinner and everything was again good and the service was extremely fast.